Sell your used car batteries for the top price at QB Copper Recycling! We are the leading scrap metal company providing you top used car battery disposal services in Perth! Utilised car batteries, and additionally other utilised lead-corrosive batteries are an unsafe waste and ought to be discarded safely through recycling. 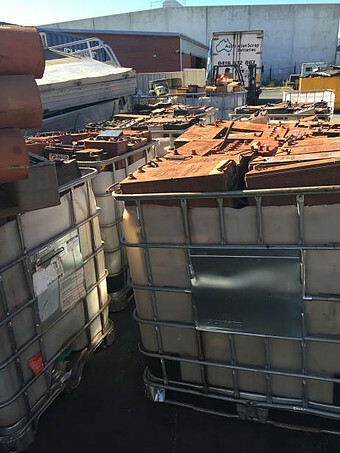 Lead-corrosive batteries such as incorporate batteries in bikes, vessels, crisis lighting and aeration and cooling systems are hazardous and can not be exposed at any landfills. 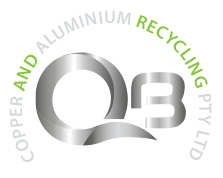 At QB Copper, we have set up an eco-friendly recycling centre that conducts advanced recycling of car batteries. We have gained massive success through our top-notch customers’ services. We are a company specialising in the correct way in recycling car batteries to ensure that our environment is safe from all the hazardous and toxic substances an exposed car battery can release. Thinking of why you should sell your car battery to us? No matter how what your reason is, it is always better to call a trusted local scrap metal company. A company like QB Copper will have all the facilities to conduct a Professional Recycling Service Perth to buy your car battery and pay you top cash for it. At QB Copper, it is easy to contact us. If you want to sell your scrap car battery to us, simply give us a call. We understand how much your car means to you. We will provide you with more cash than anyone in the industry. Used car batteries were once something that you’d try to hide in the dumpster, hoping to escape with the hassles of disposing of it properly. Today, with companies like ours, used car and equipment batteries can be recycled easily. We are recyclers in Perth that have the equipment and men with the right knowledge in recycling to ensure safe disposal for batteries. We pay cash to recycle batteries, helping keep the environment green. We provide cash quotes over the phone and online. Our process is one that is simple. You tell us your load, and we’ll make you an offer. We will also provide a courtesy removal anywhere in Perth, so we have you covered when it comes to the removal of, and cash for your batteries. Give us a call today for a cash quote for your unwanted batteries and know that you are doing something eco-friendly with QB Copper Recycling. The motivation behind why we want to buy your car battery is on the grounds that we know how profitable your battery is. We will measure the battery, and in view of that precise weight, we’ll decide the esteem with the goal that you get the best cost in Perth. When we collect all the scrap car batteries and take them to our recycling centre, our specialists with relevant skills and expertise know exactly how to dismantle, wreck, melt and mould them accordingly and recycle each and every part following the eco-friendly methods. The recycled parts are then distributed to other companies or used for various usages. You can now eliminate your trouble in disposing car batteries anywhere. At QB Copper Recycling, we offer you with a range of recycling bins for your convenience. Complete the form on the website and we’ll provide you with the properly sized bin.